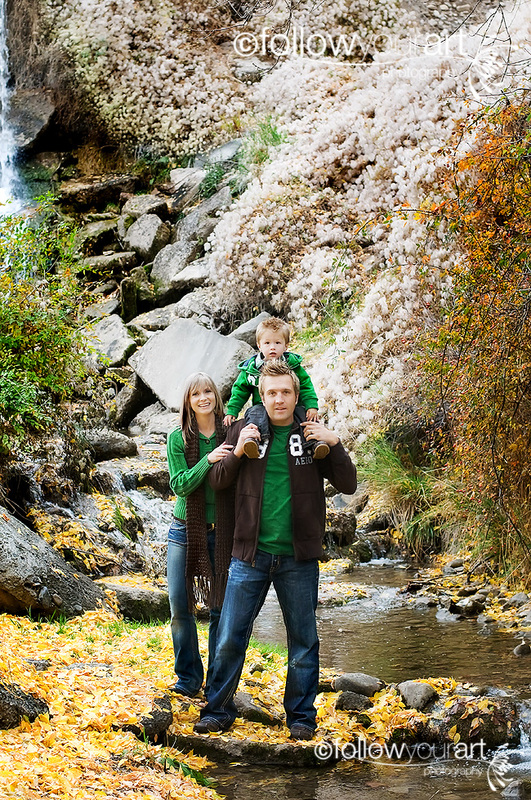 Follow Your Art Photography, Utah Baby, Child, Senior, Family Photography, photographer: Loved this family!! Oh what a fun family I had the opportunity to work with tonight. They were so awesome, sweet and up for anything I suggested! Can you believe mom said she isn't photogenic!! Absolutely, no way!! She is a natural in front of the camera and the camera loved her for sure and the whole family for that matter! We had the perfect weather, with a bit of cloud cover which allowed us to shoot wherever we wanted, so much fun! I have so many wonderful shots and I can't wait to share a lot more!! I was so excited to find this spot with a ton of just fallen leaves blanketing the ground. This little guy has blast throwing all of the leaves at his mom and dad! Anyways I only have one for tonight but will for sure show a lot more from this session!! Oh and also another home run on their outfits!! Love them!! Oh I needed to add just one more. I'll be back with a ton from this session hopefully by the end of the week. Come back soon! Oh and one of these needs to be huge on canvas for sure!! 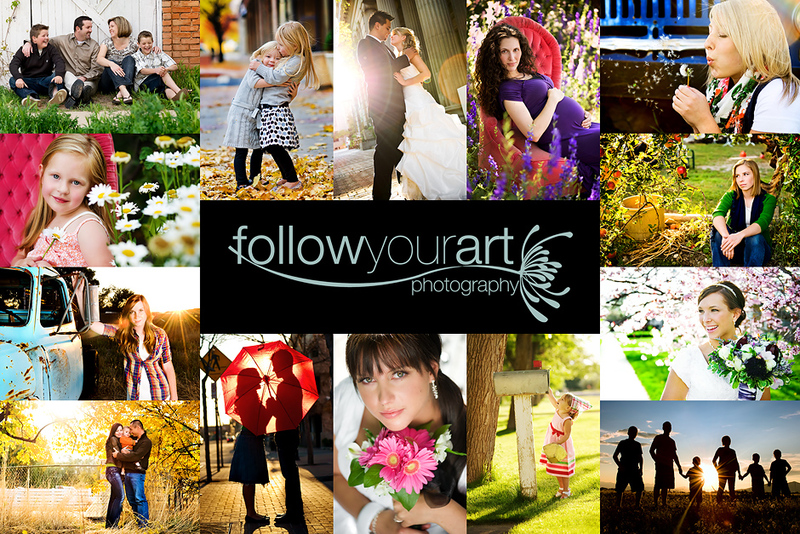 Tiffany Burke, Follow Your Art Photography, located in Utah County, Utah. Baby, child, senior, and family photographer. 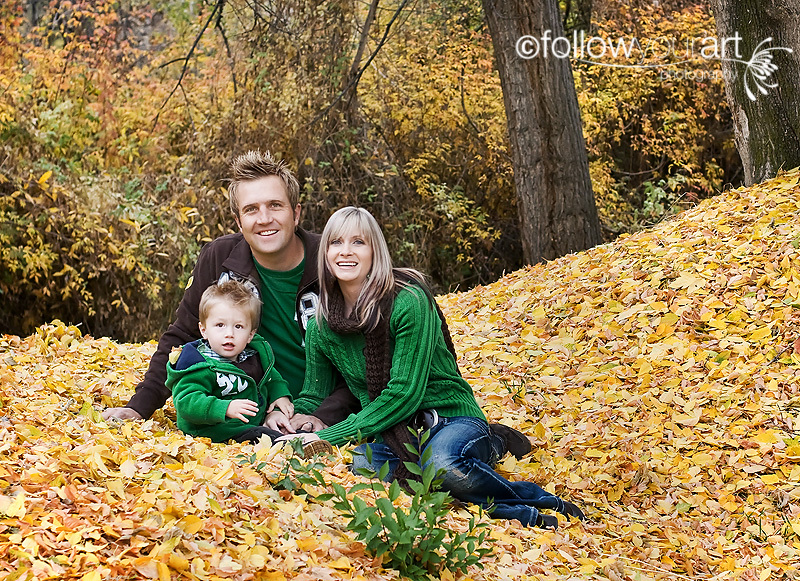 What a cute family and I love, love, love the location you found with all the leaves! Beautiful! Wow - gorgeous family! What a beautiful place, I'm sure they will love these! I love all of these. What a great choice of clothing! You do such amazing job with colors. It was so fun to see you as well! It was a great day...and the colors are so fab! These pictures are so great! I love them...what a cute family! beautiful family and gorgeous photos. I love the colors! Love the first one! Beautiful location! These are gorgeous! Gorgeous family, gorgeous location and could their outfits get any more perfect?! amazing family portraits, great job! These are so beautiful!! Love how relaxed they look, you have captured moments to cherish for a lifetime, A++. oh wow what a beautiful family and what gorgeous colors! I love your website!! It's pret6tynew right? So cute ! Love what you have done with everything! These are awesome. Love their outfits too and dad's hair is so awesome. Fab work! Love, Love your work. I can not wait to see the rest of these. Thank you so much!